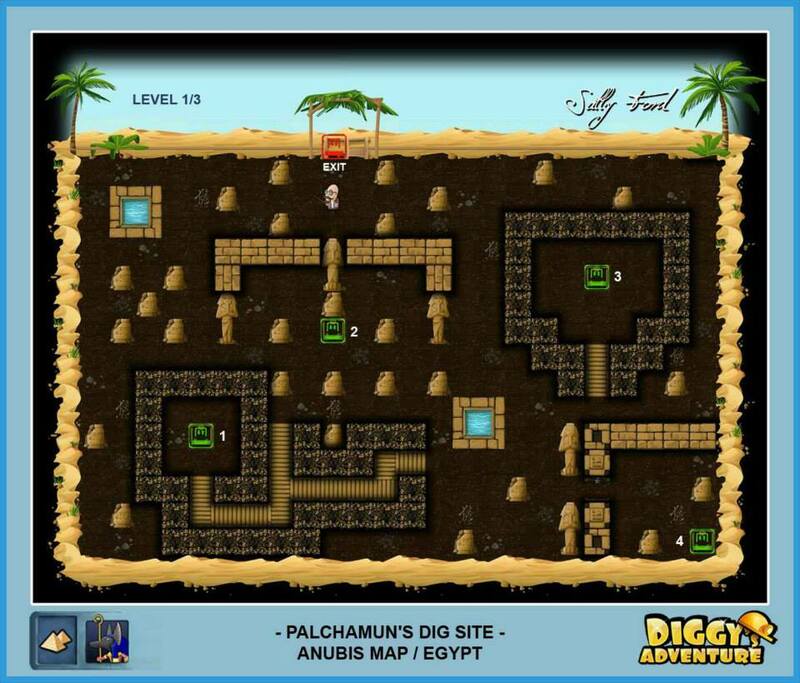 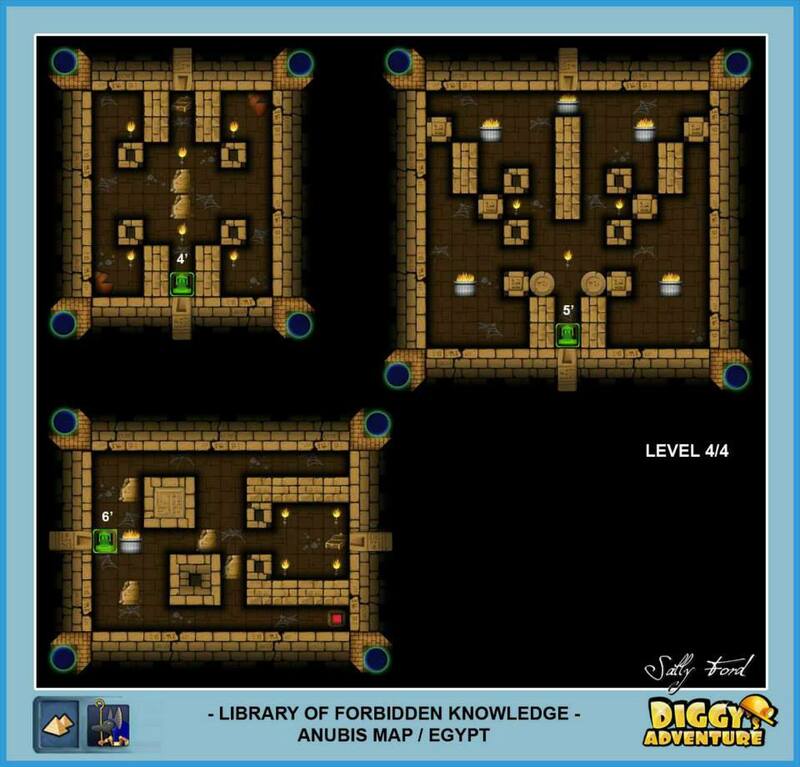 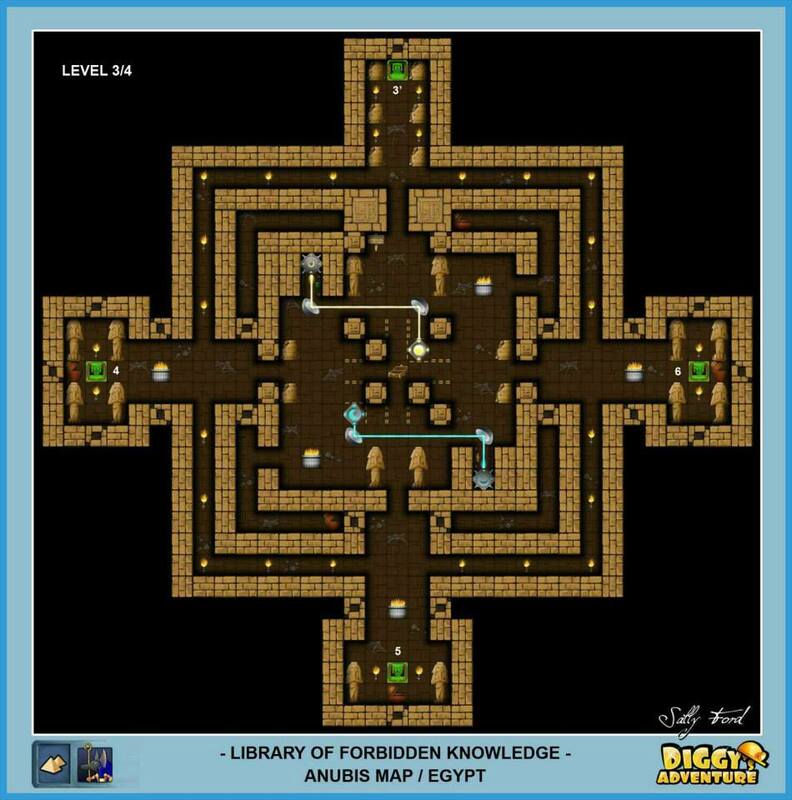 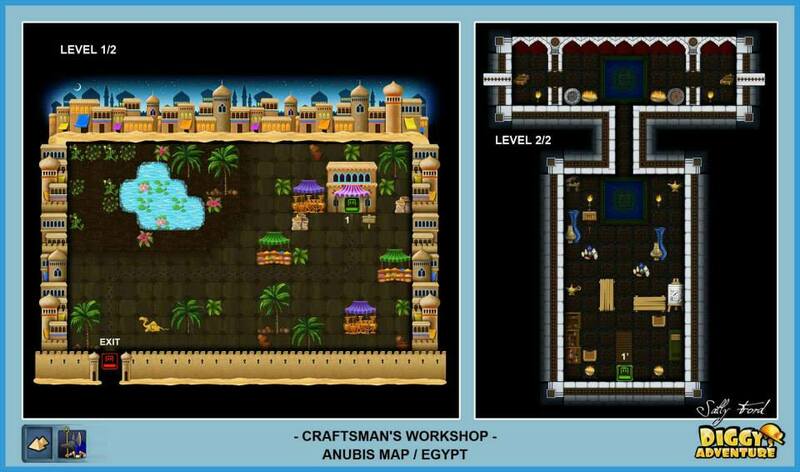 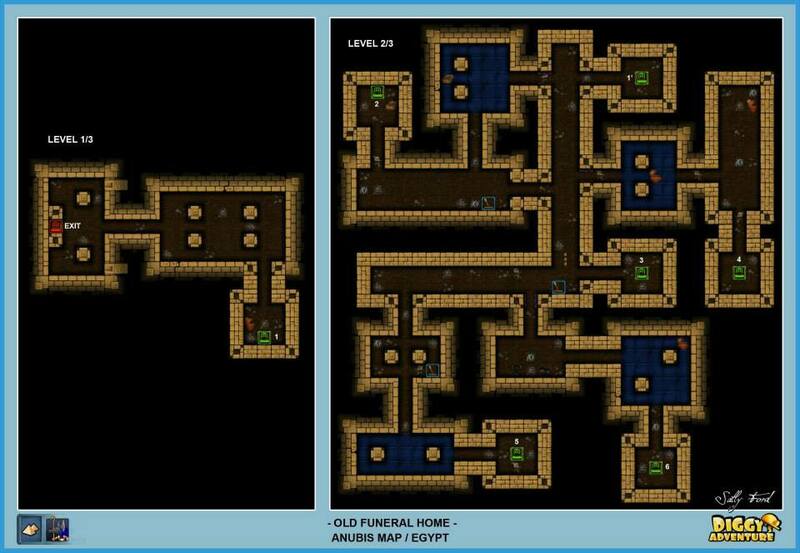 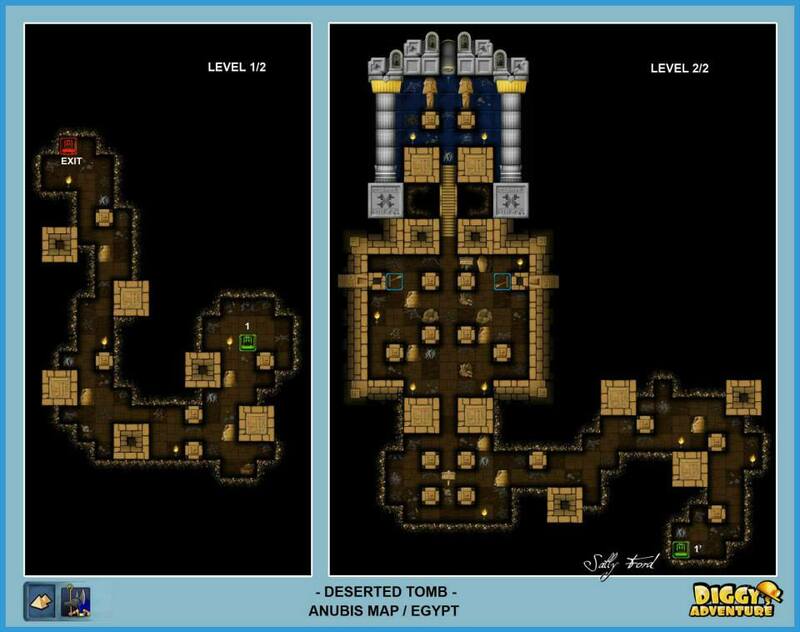 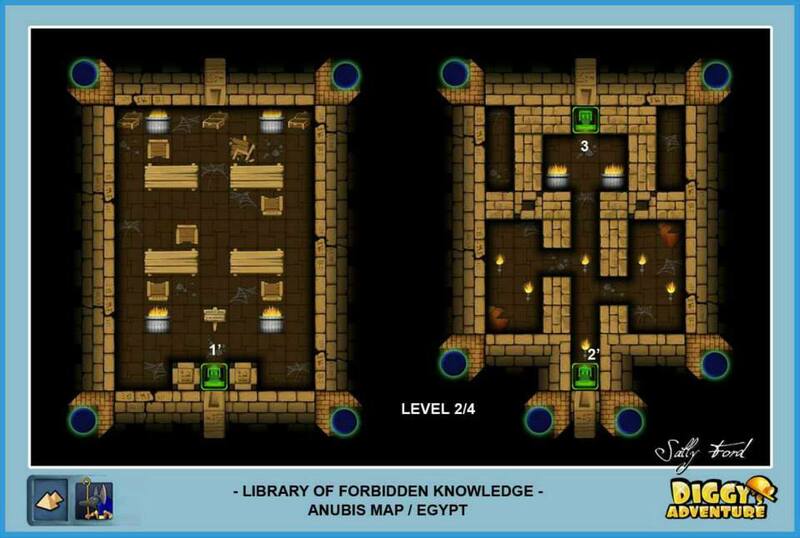 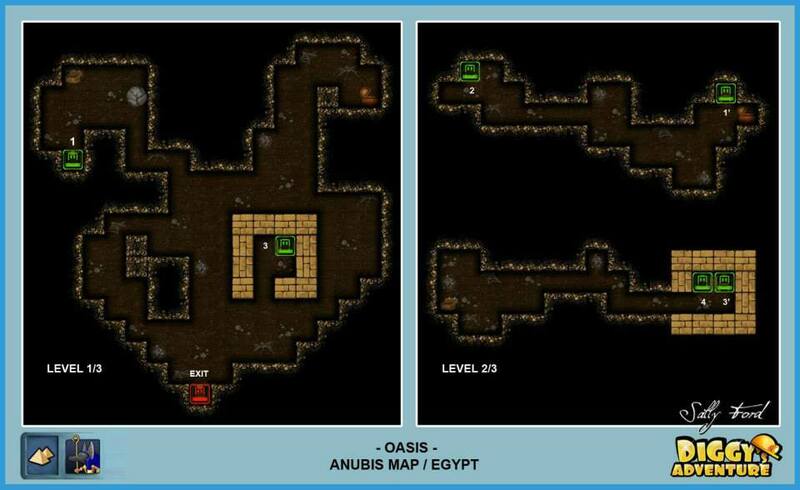 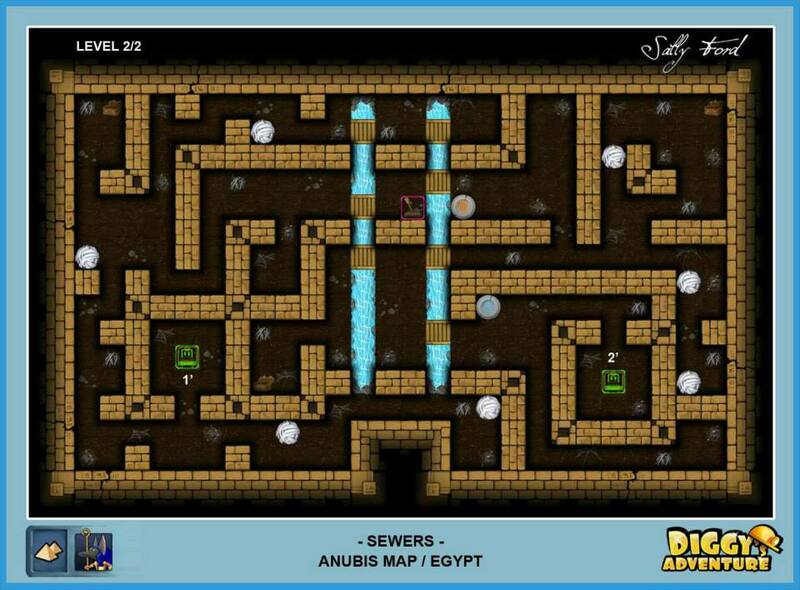 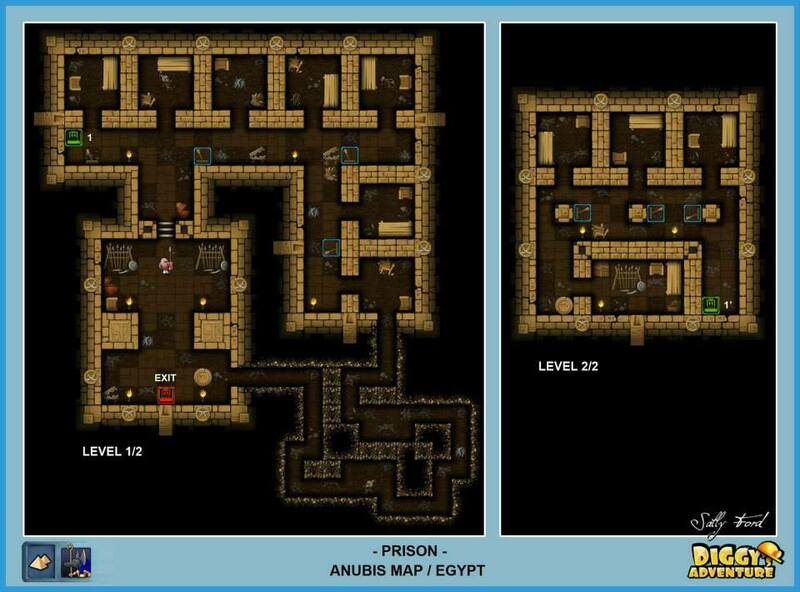 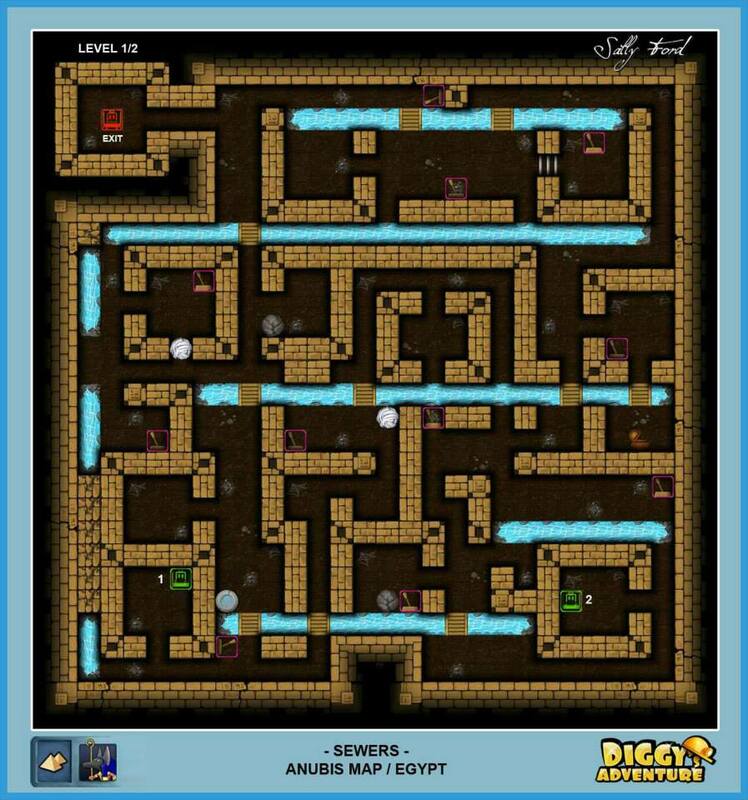 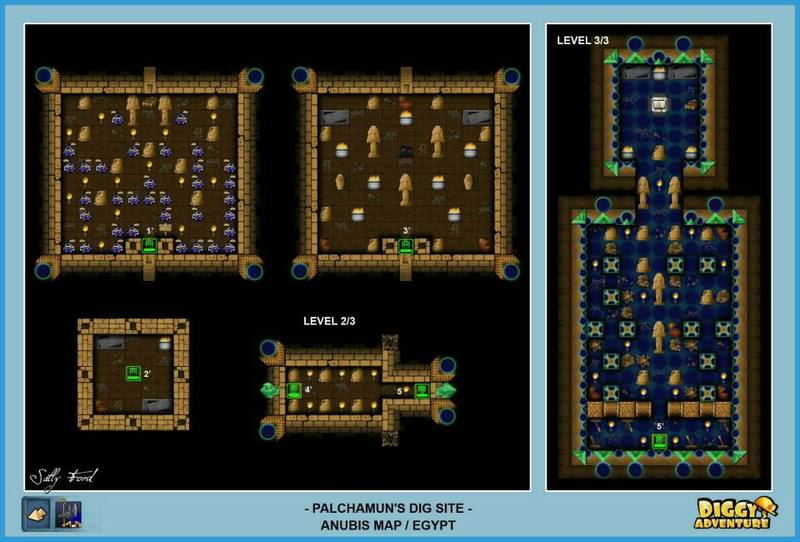 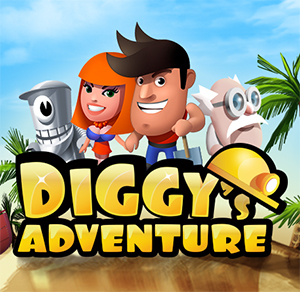 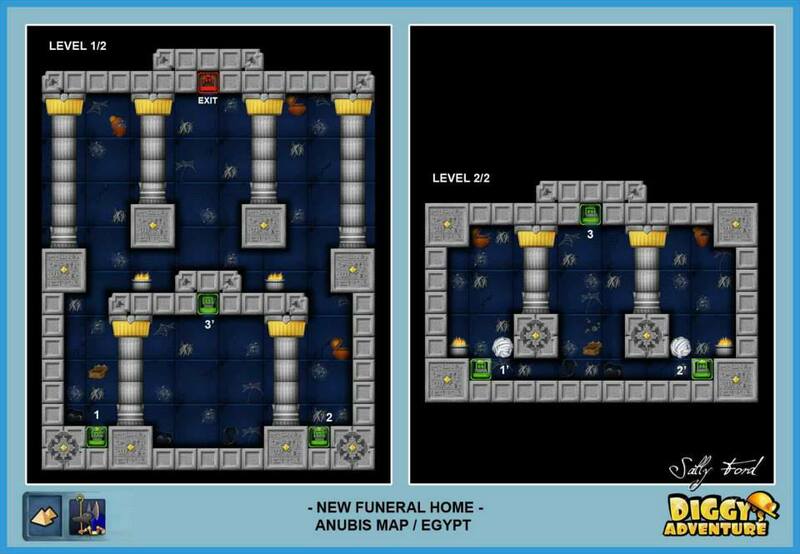 Walkthrough & solutions for Diggy's Adventure Anubis Egypt Quests. 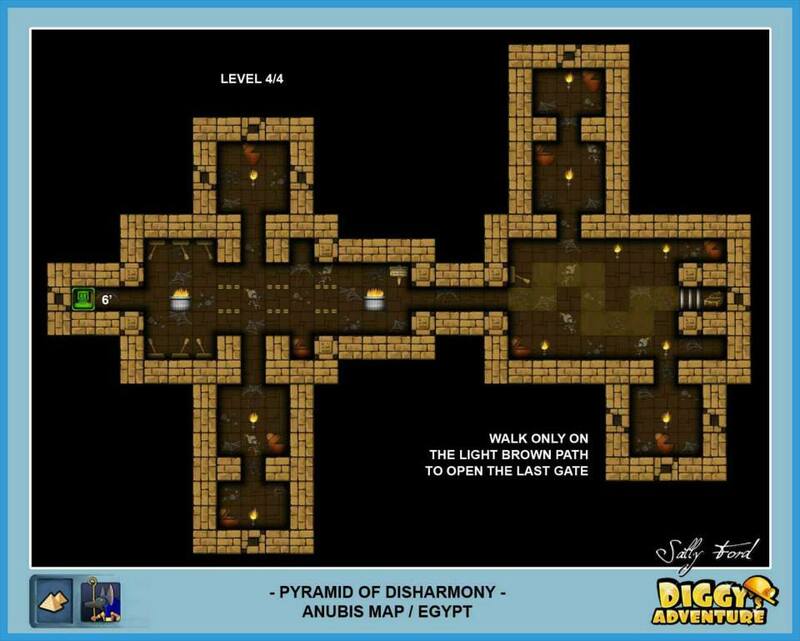 We have all completed maps & help guide that you can follow and check before you start your adventure. 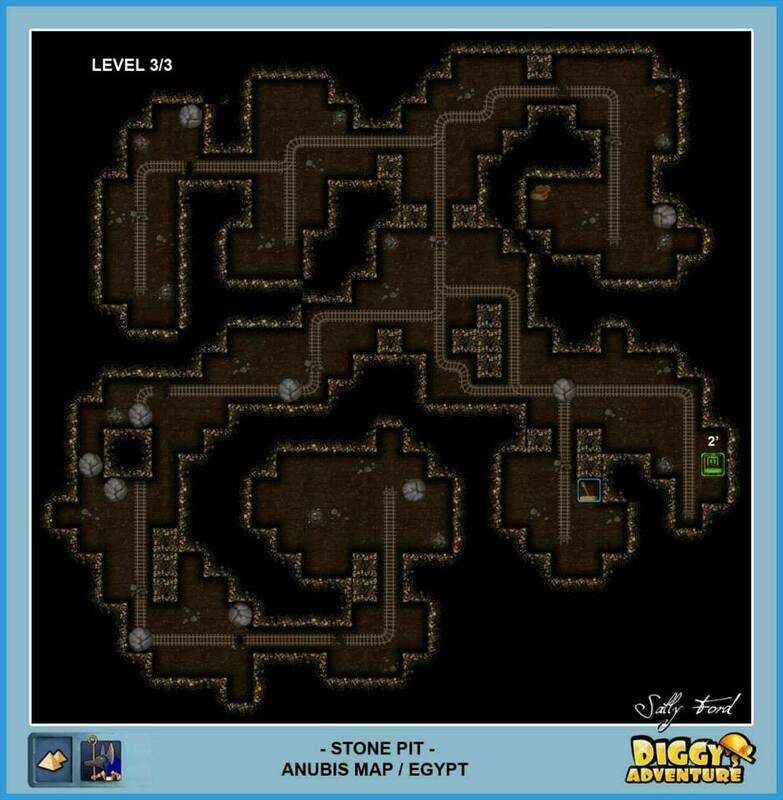 Plus, discover the hidden bonus you missed! 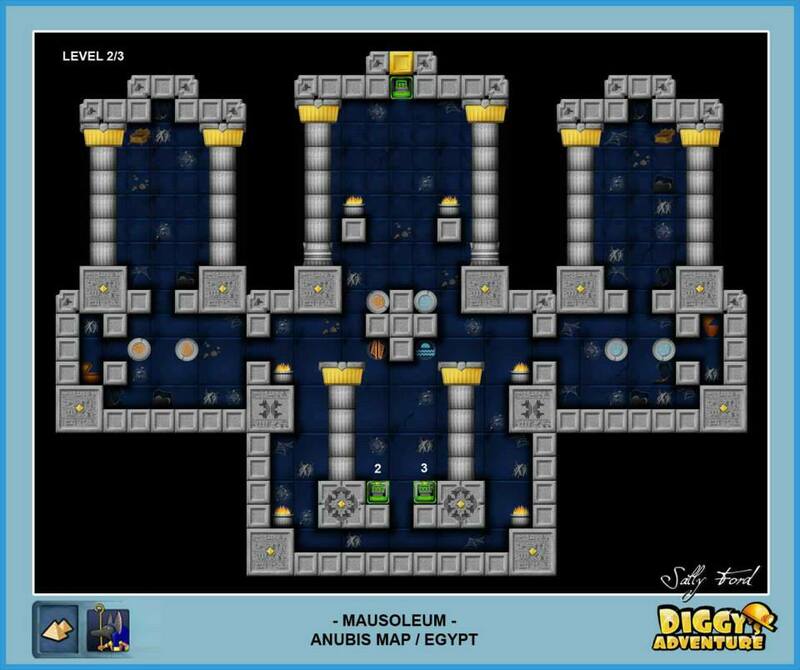 If you are using a tablet, mobile, or small screen device please tap the Maps to view in full size. 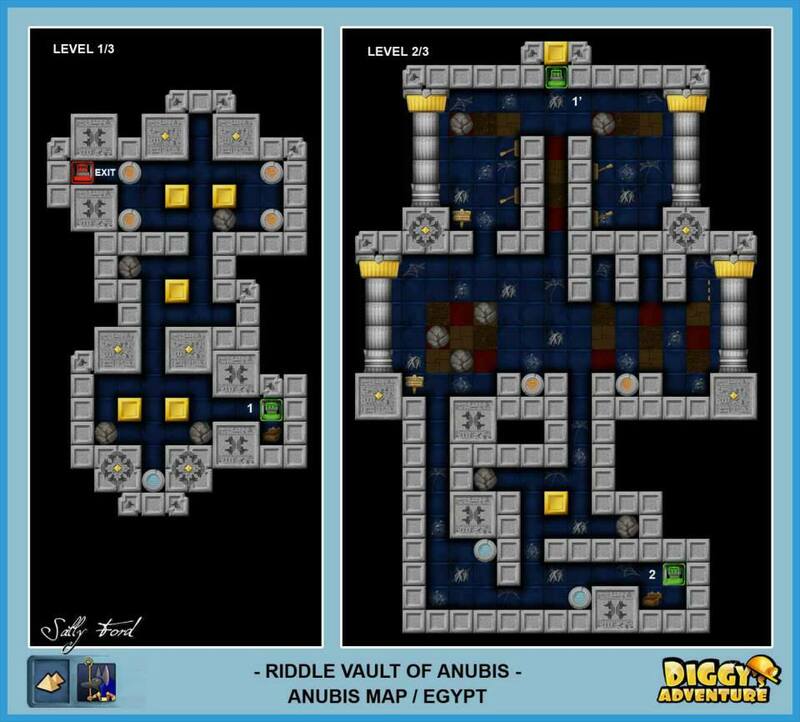 Most of the quest is pretty straight forward, the only difficult part is the Riddle Vault of Anubis and some succeeding quests. 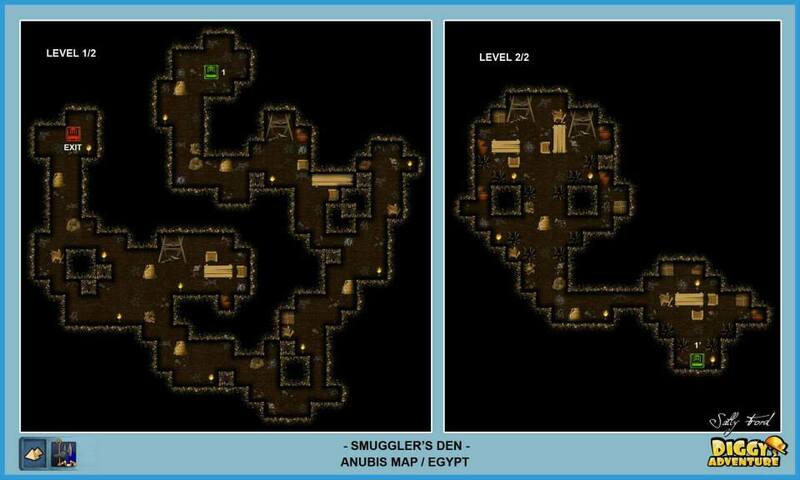 Take a look at the initial set up of the map before doing anything. 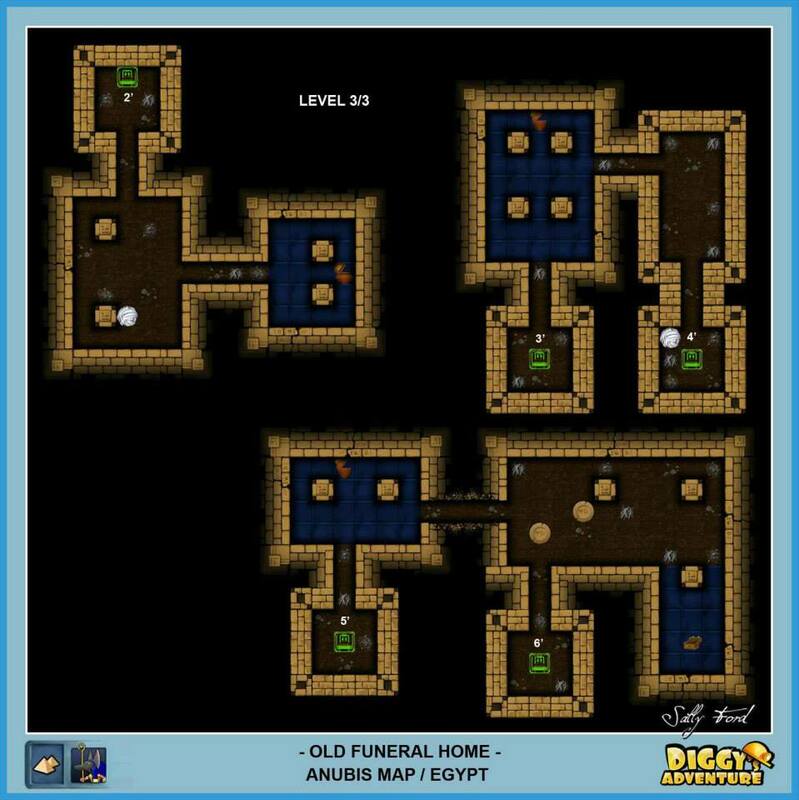 Do not move Diggy or the stones on the red tiles! 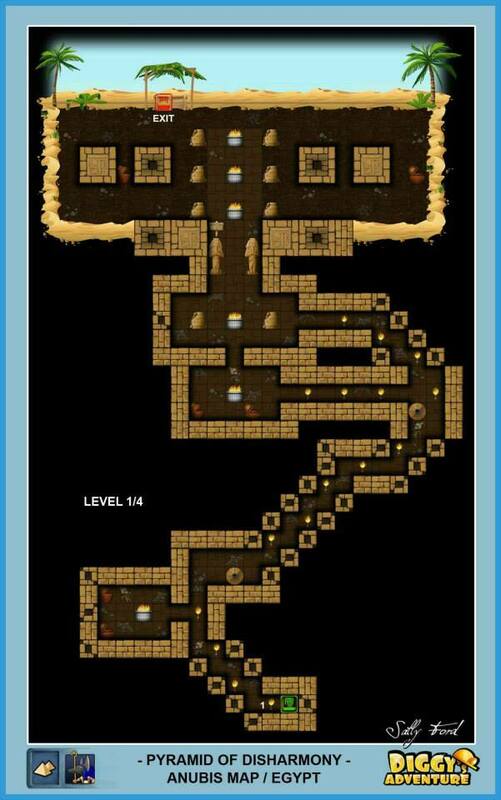 Follow the solution and placement below. 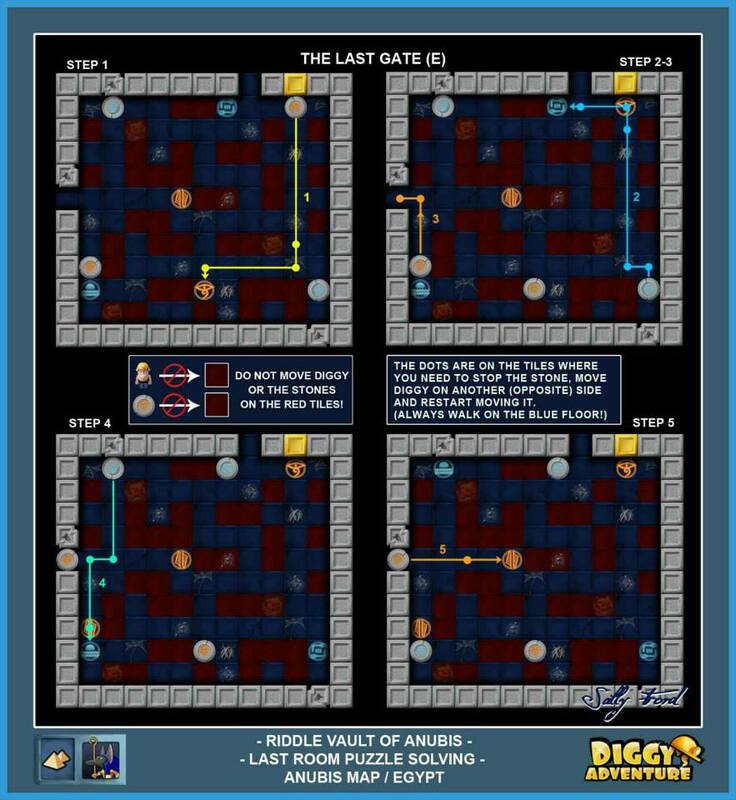 Note that stepping on one of the red tiles will close just one gate (depending on where the red tile is located), so move diggy back on the blue tiles and reset the corresponding stone. 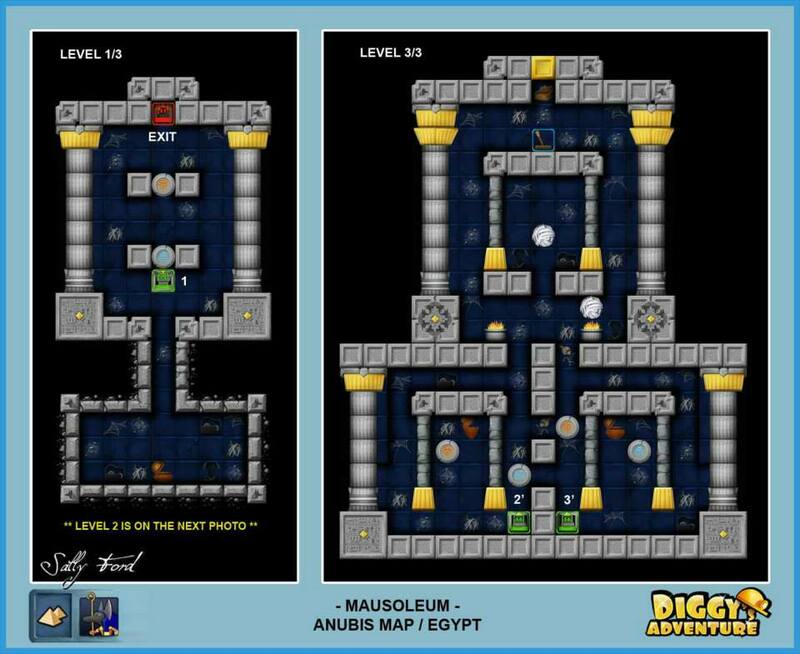 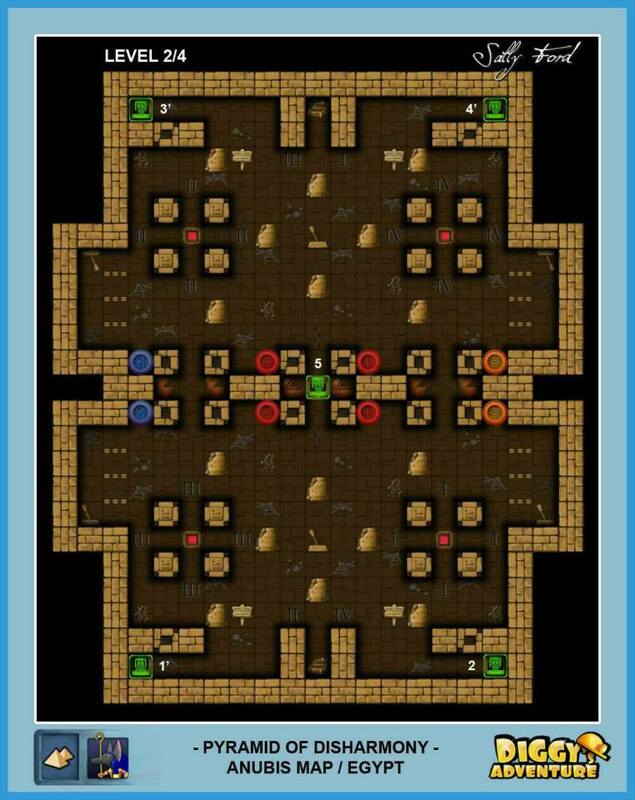 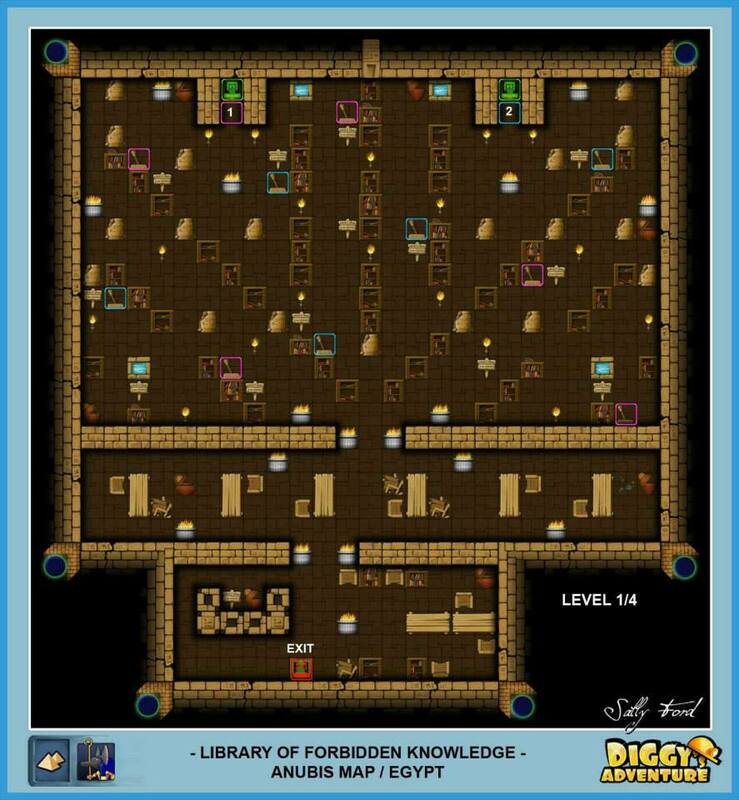 Observe the steps and solutions below, again do not move diggy or the stones on the red tiles! 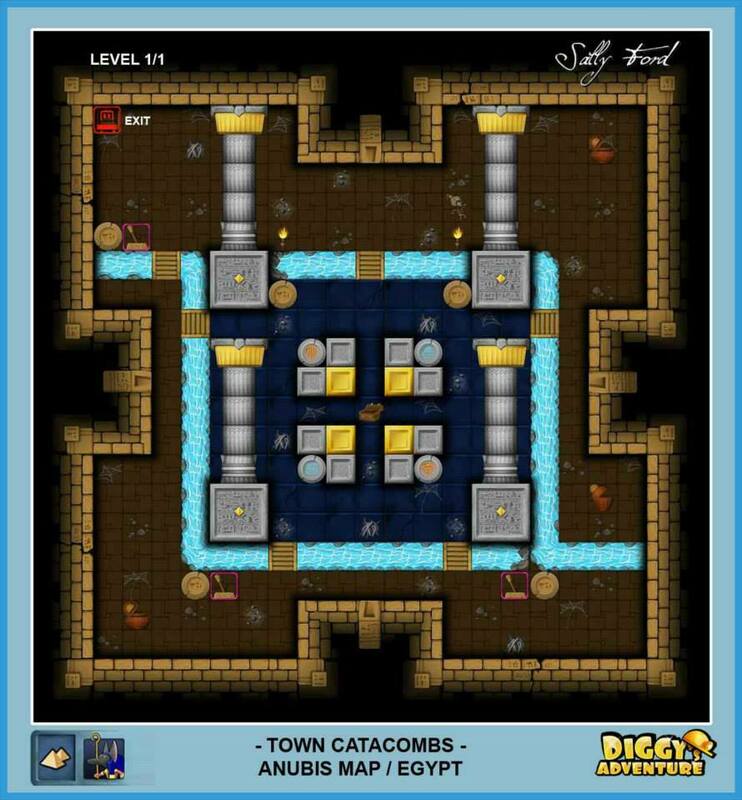 The dots are on the tiles where you need to stop the stone, move diggy on another (opposite) side and restart moving it. 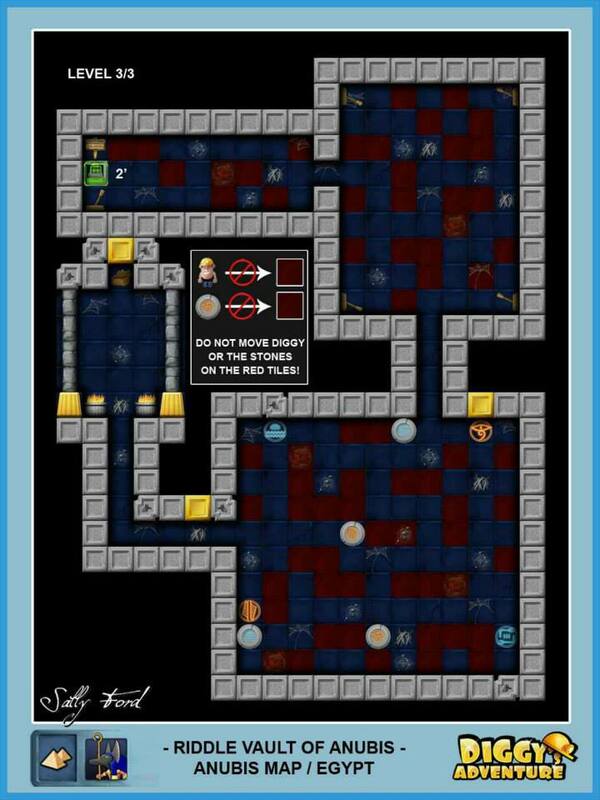 Remember, always walk on the blue floor! 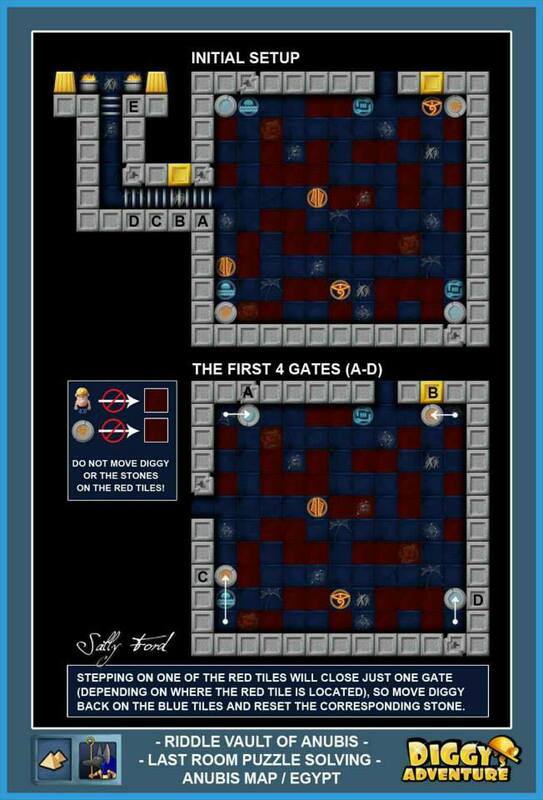 To solve this floor: walk only on the light brown path then open the last gate. 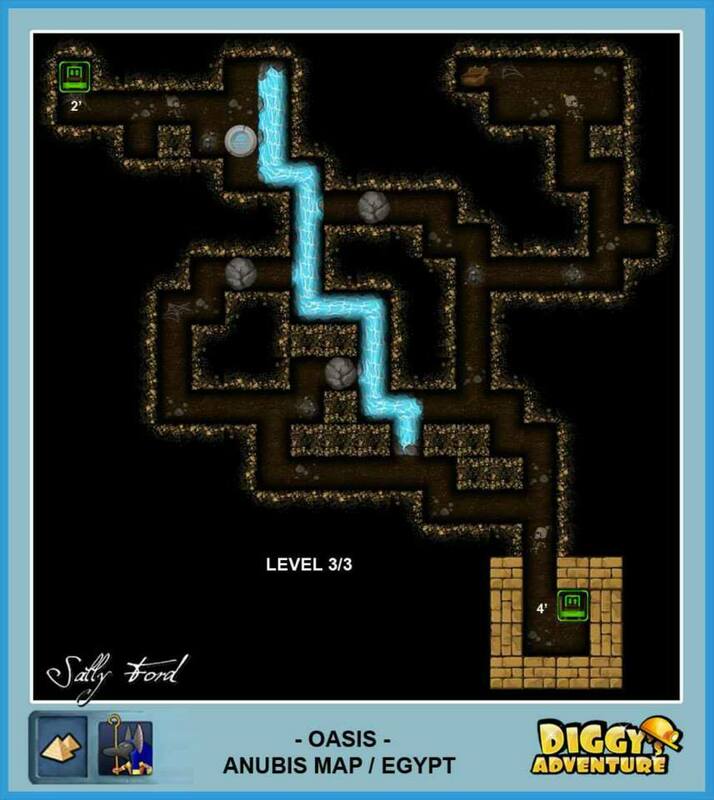 We have completed this quest. 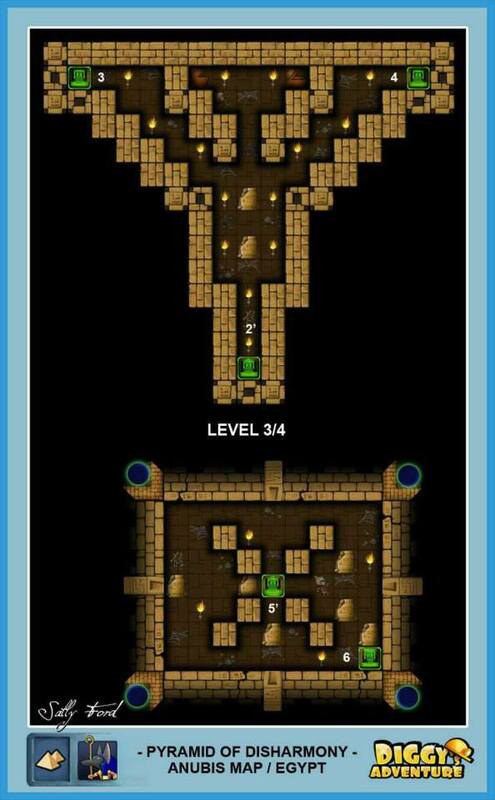 Did we missed something? 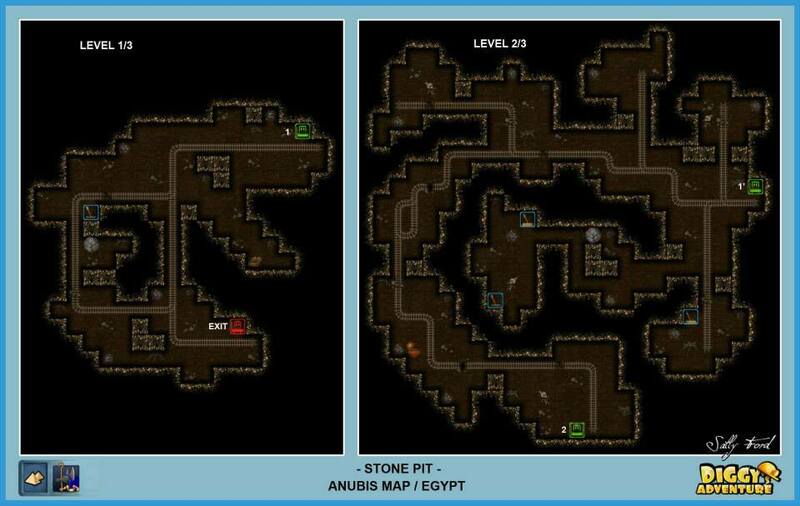 Post your suggestions and questions in the comment section or forum.